.This workshop series is designed for those who may be curious about acro asanas and flight foundations. There will be three over the course of 4 weeks. Dates are all Sundays 2:30-4:30pm: 2/21, 2/28, 3/13. Come to one or come to all! Beyond handstands, we want to help build your foundations of safe acrobatic inverted play. Thanks to acro teacher and enthusiast Megan Strawn for her amazing workshop pearls in January 2016, we are sharing with you! This workshop is open to not just acroyogis, but the community who loves to move and have fun. Aaron Lind is coming to town with Christine Moonbeam weekend of 3/18-3/20 to Rochester and Buffalo! We are excited to TRAIN you to enjoy that weekend better. 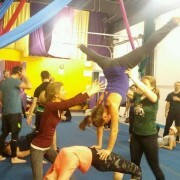 Most of all this weekend is FREE if you are coming to the LIFT school of acrobatics weekend!! For more about Aaron Lind and his intensive in Rochester and Buffalo, please go to: www.aaronlindacro.com or check out FB event page! If you cannot come to Aaron and Christine’s amazing weekend of training, we have a treat for you. To celebrate SOLRISE and their amazing community space, this workshop will only be $5 suggested donation for students and $10 suggested donation for others. ALL money will go directly to SOLRISE as a thanks to Josh Reis and his hard work. THANK YOU! Payments to above link available, but cash appreciated for donations to SOLRISE. 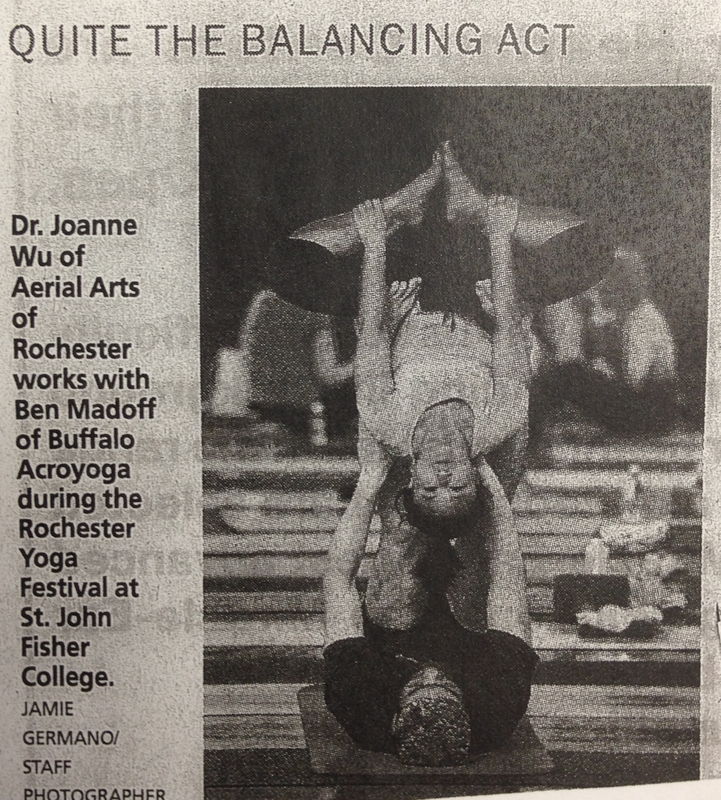 This workshop will be taught by Acroyoga JAMbassadors and Seattleacro trained Ben Madoff and Dr. Joanne Wu. 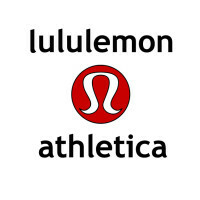 Join Lululemon Ambassadors Gia, Rachel and Joanne for this fun class that starts with Barre and ends with Yoga. What a great way to lift, tone, burn and stretch. Let’s get wild! Sign up early. Limited slots available. Can’t wait to help you love your #sweatlife! 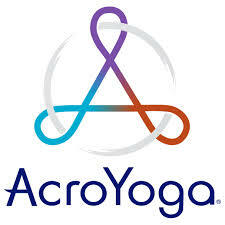 Feel your acroyoga practice could use more power and efficiency? Have you been coming to jams and wanting to learn more? We have some exciting teachers coming to our region including Aaron Lind from AaronLindacro.com in the spring and Acro Van in the summer and this is a 2hour class that will teach you through some drills to build skills that will help calibrate your duo for maximal fun. We will review some moves and washing machines that are currently in practice, then take it up a notch to enhance your strength and connection during the transitions of these flows. This will be the start to monthly Friday Night Flights in Buffalo NY. Make sure to check out the Rochester sessions on FB or contact me. This class is for those who have at least 3mo of Acroyoga exposure through jams or prior workshops. Not sure if you are good to go? Private message me and we can connect a bit more to discuss your goals. Need more Acro anatomy and foundation? Are you new to the practice and want to dive deep in a small group to focus on building each pose one by one? Join me at my Align2Fly series at East Meets West yoga Sun 2/21, Sun 2/28, Sun 3/13 2:30-4:30pm. Separate FB event will be posted. Signups will be via EMW yoga. If you are interested, please Private Message me on FB to connect or post here! This class is $18 pre-pay for all, $20 at the door. $10 for students. Cash, paypal or credit card will be accepted. Building Strength and Connection through ACROplay! AcroYoga is a fun way to challenge your body through partner based conditioning. It incorporates elements of yoga and partner acrobatics to create a dynamic challenge filled with laughter. 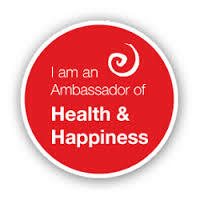 This 3 hour “all-levels” clinic is a great way to meet new people, or add an exciting twist to Valentine’s Day. Dr. Wu will join the team at Nova tol challenge you while encouraging you to explore fun in your workout. This includes a wine tasting from Apogee after the clinic. Feel free to bring your own drinks for the chocolates and socializing! http://fit2bwell.com/site/wp-content/uploads/2016/01/Fit2bWell-1.jpg 427 640 JoanneWu http://fit2bwell.com/site/wp-content/uploads/2013/09/logo_216.png JoanneWu2016-02-01 18:00:262016-02-01 18:29:20Building Strength and Connection through ACROplay!